Where Is The Haddock Market Going This Year? 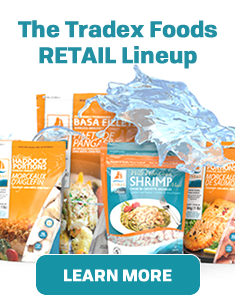 Now that the tariffs have remained at 10 percent we have a more clear outlook for Haddock markets in North America. Raw materials have been around $3400 per metric tonne for several months, which was thought to be a ceiling but may just be the new norm. New raw materials will be purchased in mid-February after the Chinese New Year Holiday, but we do not anticiapte any relief. The US market is way down because of the tariffs but with Atlantic Cod prices so high, buyers aren't switching from Haddock to Cod. Global supply on Haddock is steady and around it's historical average, despite the agreement for 2019 quotas in Norway and Russia to be about 15 percent lower than in 2017. As a result of turblulent Raw material markets, finished goods on Haddock have risen by over 80 cents per pound over the past year. Twice frozen Haddock Loin pricing has reached a new high of over $4.00/lb on the East Coast, only a few cents lower than where Atlantic Cod loins currently sit. Chinese processors have received requests for quotes but few buyers seem to be committing to new loads, presumably waiting to see where the whitefish market settles after Chinese New Year. 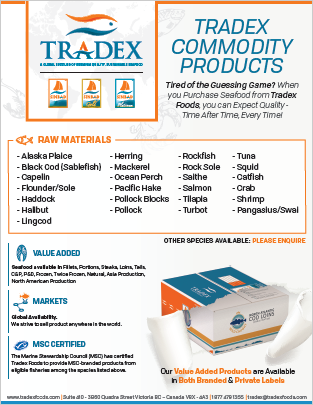 Our advise to buyers is to wait until Chinese processors have acquired new raw materials next month to make purchase decisions on twice frozen haddock products for March. 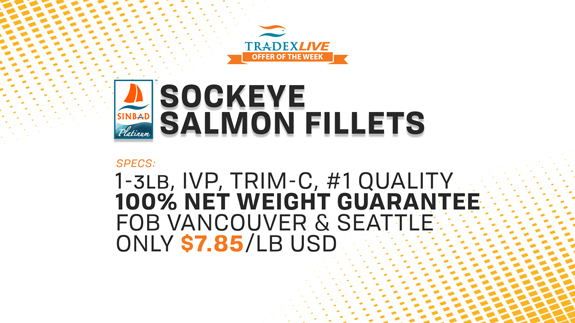 --- And Finally, our TradexLIVE offer of the week is for IVP 1-3lb Sockeye Salmon Fillets. We have inventory in both Vancouver and Seattle packed in our premium SINBAD Platinum brand for $7.85/lb.